COLUMBUS, Ohio (AP) — Democrat John Kennedy is running for the Ohio House. In more ways than one. The candidate set out from his northeast Ohio hometown of Aurora on Friday for a two-day, 142-mile run to the Ohio Statehouse in Columbus. 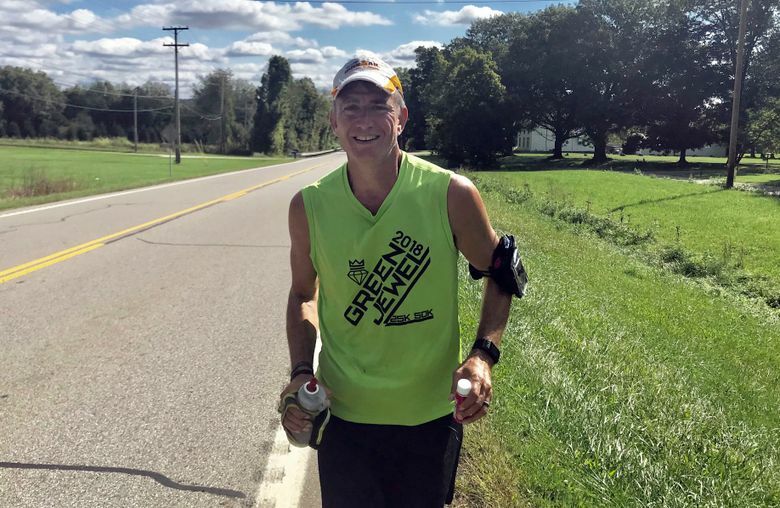 Kennedy, a 52-year-old ultra-marathoner who has type 1 diabetes, said he’s using the run — and 14 stops along the way — to bring attention to the rising costs of insulin and other prescription drugs. Kennedy, who works in IT, concedes that it’s also a way to grab some media attention for his underfunded campaign against two-term state Rep. Stephanie LaTourette, a Republican. Politicians elsewhere have used physical exploits this year to draw attention to their campaigns and causes. In North Dakota, Republican congressional candidate Kelly Armstrong jumped out of an airplane at the Fargo air show. Gov. Doug Burgum and Fargo Mayor Tim Mahoney made a tandem parachute leap with the U.S. Navy Leap Frogs Parachute Team. Given how little he’s raised, closing the gap with voters will be a challenge for Kennedy in Ohio. LaTourette’s campaign has spent about $92,000 this year compared with less than $600 by Kennedy, campaign finance records show. LaTourette is the daughter of the late U.S. Rep. Steve LaTourette, who spent a decade in Congress before dying of cancer in 2016. The 35-year-old LaTourette said she also is focused on health care issues, including efforts to expand access to the type of palliative care that she said allowed her father to live longer and spend his final months more comfortably. LaTourette said she doesn’t begrudge Kennedy’s effort to shed light on the rising cost of prescription drugs.